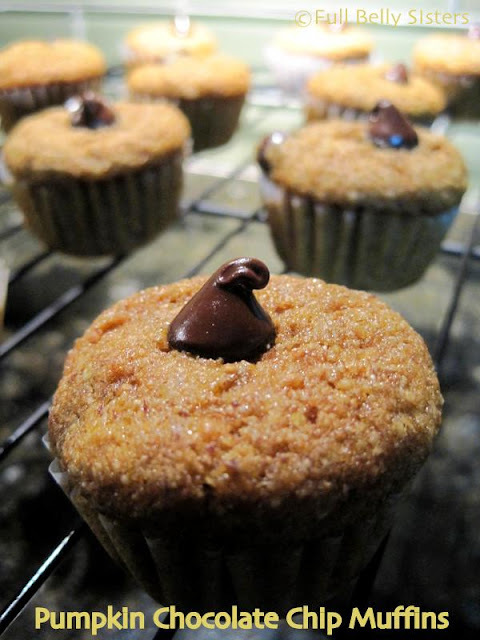 Check out FBS' "Pump Up Your Milk" Pumpkin Chocolate Chip Muffin recipe! I am beyond excited today, because it is October 5.... and that means it is the first day of #Choctoberfest! Are you a blogger who is interested in joining us during out next community event? Sign up here now! Full Belly Sisters will be sharing some great new recipes this week to celebrate #Choctoberfest. In the meantime, check out some of our favorite chocolate recipes! I do love that pudding- I've made a couple different versions- all guilt free! I do love that pudding- I've made several different versions, all guilt free! it's so yummy, and feels so indulgent! I love milk chocolate with almonds. my fave recipe is peanut butter brownies. I love all chocolate and nothing beats a top notch chocolate cake. I'm a dark chocolate girl! Good luck in the contest, lots of dark chocolate to enjoy! Good luck to you, Kris! Very excited! Love many of these recipes! Sooooooo cool! I hope in win!! I like chocolate any which way I can get it, white, dark, milk!! Bring it on!! Your muffins look amazing too! These are great ways to use chocolate.